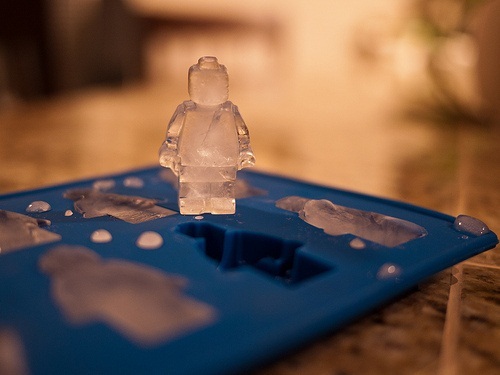 Unique ice cube trays can easily be used with plaster. Image 02032012 courtesy of FlickrCC6895432155_92eacc0a63. As the frigid temperature hovers around my neighborhood, the last thing I want to think about is something cold. But theeverybesttop10.com has struck again with an interesting post: The World’s Top 10 Best Nerd Inspired ice cube moulds. Not only do I wish to make those ice cubes (I guess I’m a nerd), I’d use the ice trays to make plaster shapes to paint. For pennies, one could have a cool collection of Star Wars miniatures and more!